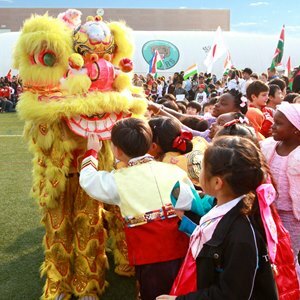 The British School of Beijing, Shunyi offers you a warm and caring campus with exceptional facilities. Our school's sports and playing field, big enough for a full-size football pitch. Our bright and colourful Primary Library is located in the Foyer. The Sports Gym, refurbished in August 2013. 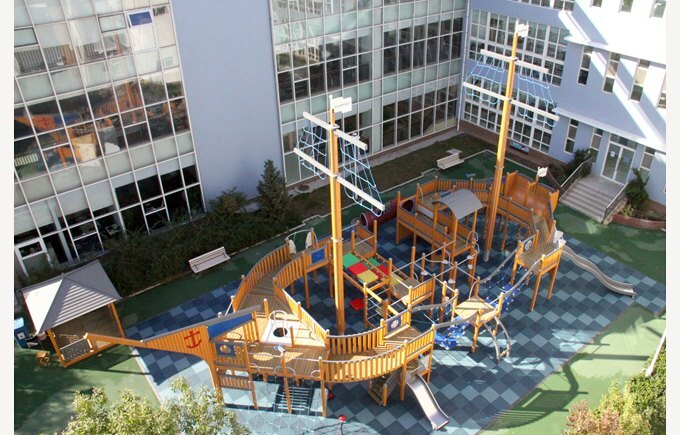 Our campus was built in 2008 in the family-friendly area of Shunyi, very near to the Beijing Capital Airport and about 25 km north-east from central Beijing. Conveniently located in a hub of residential compounds and international schools. 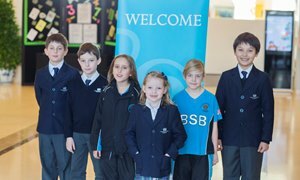 The British School of Beijing provides excellent educational facilities for Primary and Secondary students from age 1 to age 18. Our physical environment nurtures enquiry and learning, while our Air Quality Policy aims to ensure we maintain a healthy environment for all our students. 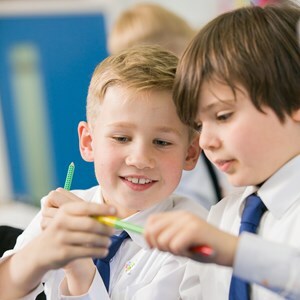 Our Primary school classrooms comfortably cater for our maximum classroom sizes of 22 students and are enhanced by specialist rooms for music, food technology and ICT. 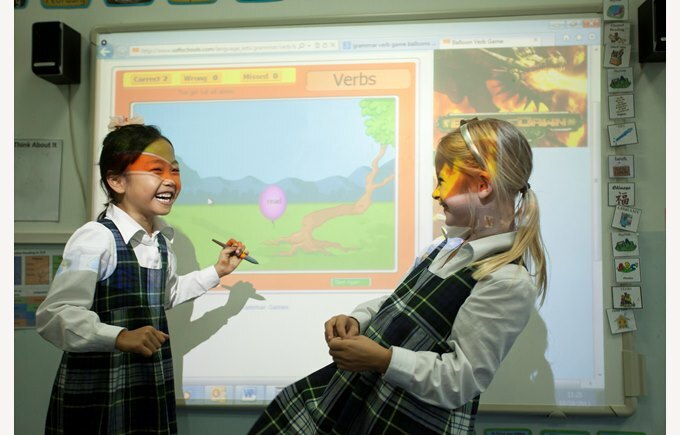 Each classroom is equipped with interactive whiteboards. 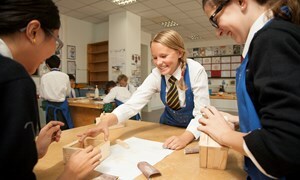 In the Secondary School, our well-appointed classrooms are complemented by Science laboratories, excellent music facilities, design technology workshops, science labs, purpose-built computer labs, a cookery kitchen, art studio, photography dark room and two drama studios. IB Students in Years 12 and 13 also benefit from dedicated study facilities to support the independent self-study required at this level. Our bright and colourful Primary library is located in the first and second floor of the main building and features custom-built bookshelves, computer banks and a multi-use reading loft on the mezzanine level. 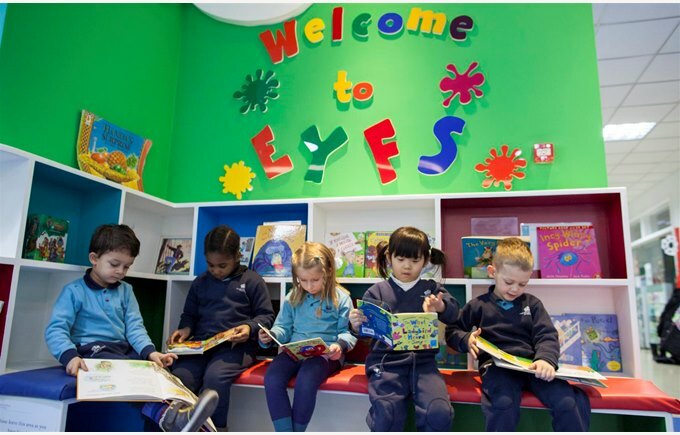 We have a seperate library for our littlest ones near the entrance to Early Years Foundation Stage classrooms. 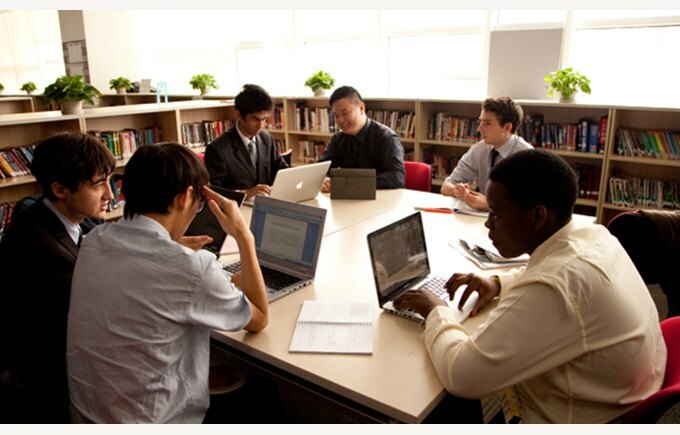 The Library brings active learning to the central point of the school. 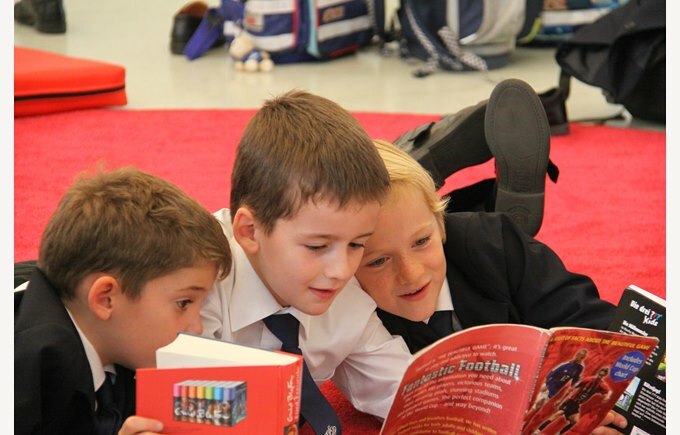 Any person entering the school can witness real learning taking place as they are met by children engrossed in books and developing a lifelong love of reading. The book collection is extensive and is regularly being updated to include new authors, current popular titles and new learning resources. Book Week is held each March when certain authors are put in the spotlight and children's love of reading is celebrated and encouraged. Located on the third floor of our main building, our Secondary library is equipped to meet the more sophisticated needs of students undertaking major assessment projects and studying for exams. Quiet study areas, banks of computers, group discussion tables are all provided, complemented by an extensive collection of books, magazines and resource materials to support student learning. 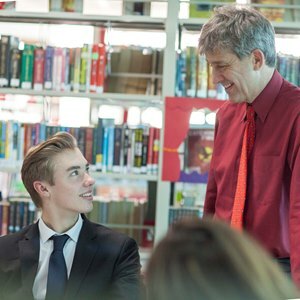 Our active Secondary Library staff support many different initiatives throughout the year, including Battle of the Books, the Panda Book Awards and Book Week. For the latest news about library resources and current events, please link to our School News section. 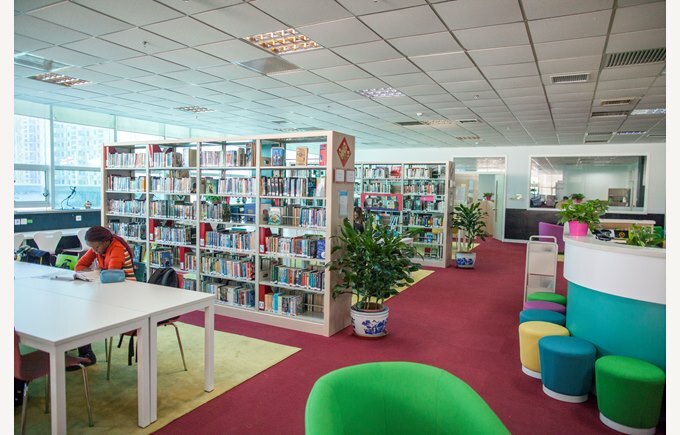 The British School of Beijing has a free reading service providing digital books to our students through OverDrive. The OverDrive collection is an extension of BSB’s physical library. It is online with 24/7 access to eBooks and audiobooks. It is convenient for students to check out titles at home, on the weekends or during school breaks with no worry about misplacing a book – these digital titles automatically return at the end of the lending period! Our new ebook library can help students of all ages read more and improve comprehension. Struggling or reluctant readers, learning-challenged, second language learners, and gifted readers can all benefit from this service. It also helps busy kids find time to read. 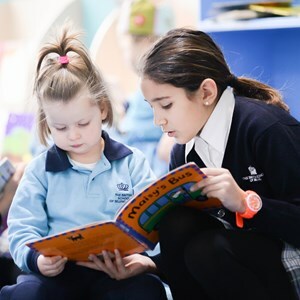 The books were chosen through collaboration with teachers and students to create a collection that supports our curriculum and also allows for reading for pleasure from year 3 upwards. We will continue to review, develop and expand our collection on an ongoing basis. Our 230-seat Duke of York Theatre is used frequently for assemblies, music concerts, plays and classroom productions. 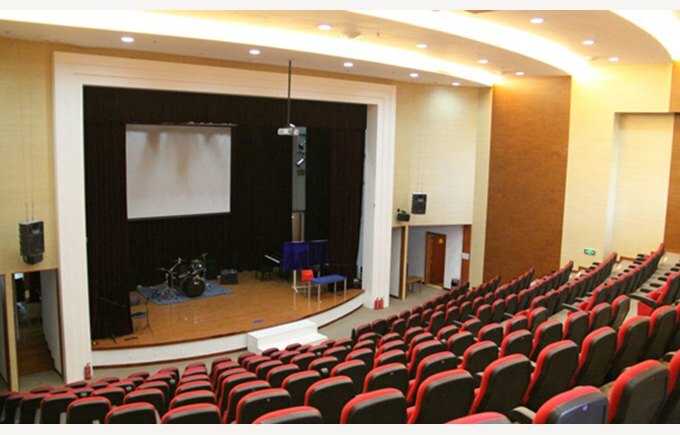 It is also the chosen Shunyi venue for The Beijing Playhouse, a leading English theatre company in Beijing. 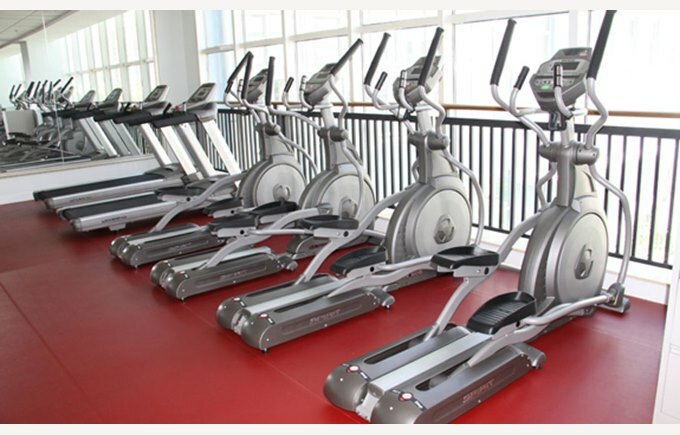 Our sports facilities cater for a wide range of indoor and outdoor sports. 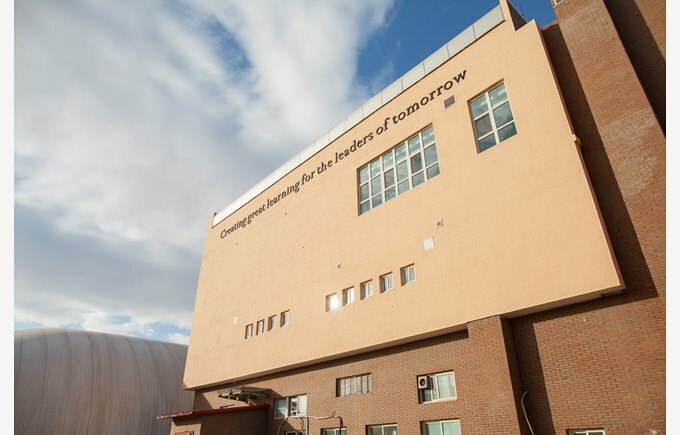 Students make use of a multi-use sports hall, cardio fitness and weights rooms, indoor heated swimming pool, indoor basketball courts, outdoor running track and full size football pitch. 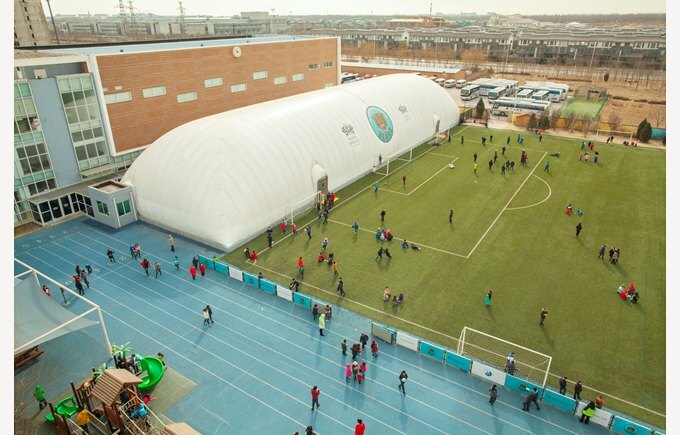 Our Sports Dome features a powerful air handling and filtration system and is fully temperature controlled to create a safe and spacious play space for students all year round. 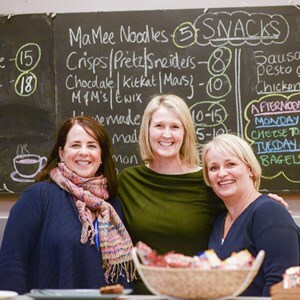 With three hot food stations (Western, Italian and Chinese), a sandwich bar, two salad bars and a wash-up area, our Dining Hall is a bustling place during lunch times. Students are supervised and encouraged to always make healthy choices. Classrooms are equipped with interactive whiteboards, projectors and banks of computers to make learning come alive, along with Apple TVs connected in every classroom. Information Computer Technology, or ICT as we call it, is a core subject starting from Year One and our designated computer labs in Secondary school and portable laptop trolley for classrooms in Primary school enable each student to explore different technology platforms, using the latest hardware and software. 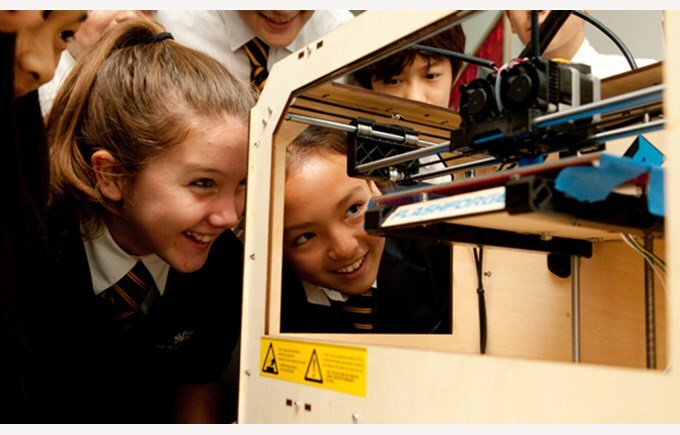 We are continually looking to challenge our students, using new hardware like our 3D printer. Our LEGO Robotics lab provides an opportunity for students to explore the amazing world of robotics and compete in LEGO robotics competition. Technology is always changing and we enable our students and teachers to change with it. We use the most updated technology platforms to communicate with our parents all secured behind the security of passwords. In Primary we are using Seesaw and in Secondary we use a custom built system to send individualized lessons to parents in order to keep up to date with their busy teenagers, and Managebac for IB Diploma students. 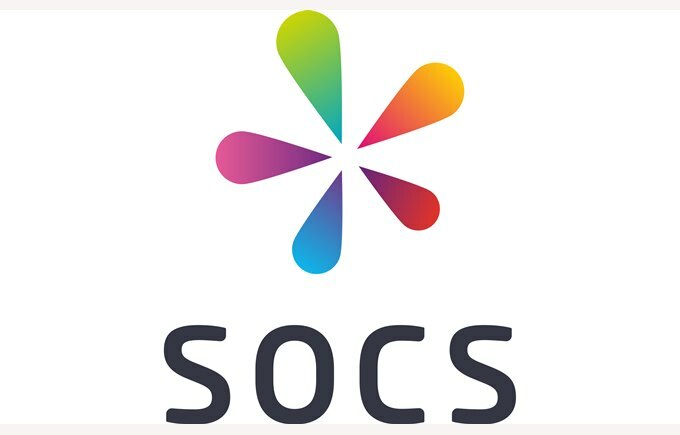 The whole school uses as SOCS to manage After School Activities, Music and Sports. We welcome you to book a visit and see our exceptional facilities for yourself.